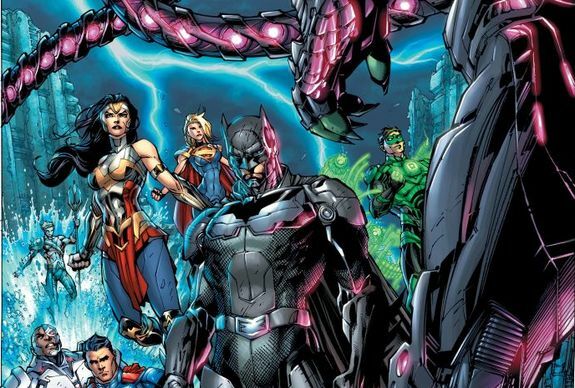 In the very near future, DC fans will be welcomed back to one of the most wildly popular alternate universes this reporter has ever seen when not only the Injustice 2 video game arrives in stores, but the prequel comic as well. Much like the comics that tied into the first game, the new series aims to detail the years preceding the events of the console experience. Aside from finding out what the morally ambiguous Justice Leaguers have been up to, it looks like we’ll learn more about this specific interpretation of Brainiac, whom we’ve gotten the impression will factor heavily into the game’s storyline. Although we won’t know much about him until we pick up a controller or open a book, it’s fair to say that his look is somewhat inspired by Geoff Johns and Gary Frank’s vision that was later adapted to an animated movie called Superman Unbound, albeit with the heavily armored spin we’ve grown used to seeing in these games. Furthermore, we have the added appeal of Jim Lee drawing the cover art, which anyone with good sense knows is one of the easiest ways to boost sales. 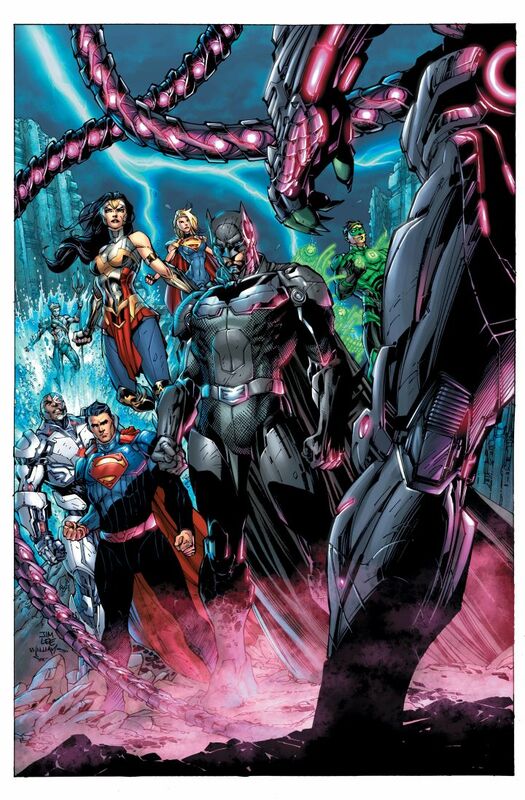 And although this is a vastly different take on DC’s premier heroes than what he brought us in, say, Justice League: Origin, you have to admit it’s pretty cool nonetheless. Written by TOM TAYLOR • Art by BRUNO REDONDO and JUAN ALBARRAN • Cover by JIM LEE and SCOTT WILLIAMS • Variant cover by BRUNO REDONDO • Retailers: This issue will ship with two covers. Please see the order form for details.